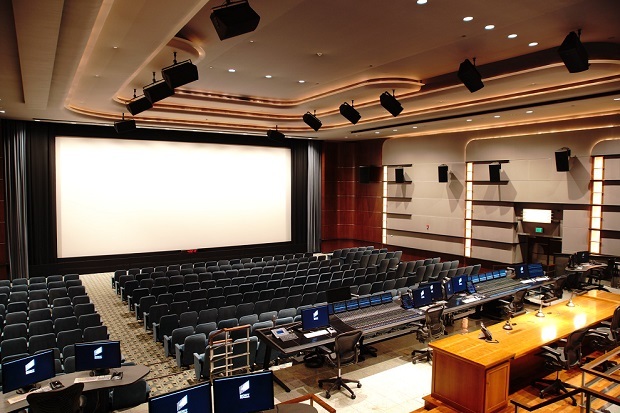 Culver City, Calif.– As part of the ongoing expansion of its sound resources, Sony Pictures Post Production Services has upgraded three mix stages on the Sony Pictures lot to support sound mixing for film and television in the immersive Dolby Atmos format. Among them is the 344-seat Cary Grant Theatre, the studio’s largest. 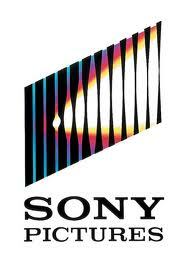 Sony Pictures now has seven mix stages that support Dolby Atmos and plans to have nine within the next few years. The first project slated for an immersive mix in the upgraded theaters is Sony Pictures’ Spider-Man™: Far from Home, which makes its way to North American theaters on July 5, 2019. The upgrades are part of Sony Pictures Post Production Services’ commitment to be the premiere source of entertainment sound services on the west coast. “Having our largest stage, Cary Grant, equipped for Atmos is a tremendous draw to filmmakers who want to work with our sound talent and appreciate the support we provide to creative artists,” said Kimberly Jimenez, Executive Director, Post Production Services, Sony Pictures Entertainment. The work was completed under the direction of Lane Burch, the studio’s Executive Director, Post Production Sound Engineering, with creative consultation from Academy Award®-winning Re-Recording Mixer Kevin O’Connell and Supervising Sound Editor Will Files. Upgrades to the Cary Grant Theater include 46 channels of JBL loudspeakers to support mixing in Dolby Atmos. The theater features dual 48-fader Avid S6 consoles, four Avid Pro Tools HDX-3 workstations, a 192-channel HDX-3 Pro Tools recorder, a separate Pro Tools workstation for playback, a Harrison Audio X-Range monitor matrix with a 64-channel X-Range audio engine and 512×512 X-Range MADI router, a 4K Sony digital cinema projector and a new Stewart cinema screen. The studios’ Jimmy Stewart Theater was also upgraded to support both Dolby Atmos cinema and home entertainment speaker formats. It features dual 24-fader Avid S6 consoles, three Avid Pro Tools HDX-3 workstations, a 192-channel HDX-3 Pro Tools recorder, a Harrison Audio X-Range monitor matrix with a 64-channel X-Range Audio Engine and 512×512 X-Range MADI router, a Sony 4K digital cinema projector and a custom JBL/BSS speaker system. Both the Grant and Stewart theaters also support IMAX 5, 6 and 12 channel formats. Dolby Atmos upgrades are in progress on the studio’s 10-seat Theater 3, located on Stage 6. When work is complete, it will feature a 48-fader Avid S6 console, four Avid Pro Tools HD workstations, a 512×512 Harrison X-Range MADI router, a Sony 4K projector and a JBL speaker array. Additionally, Sony Pictures Post Production Services has built two new theater-style sound design studios. They will primarily be used by Academy Award®-nominated Supervising Sound Editors Becky Sullivan and Andrew DeCristofaro who recently joined the studio’s sound team. Sony Pictures Entertainment (SPE) is a subsidiary of Sony Entertainment Inc., which is a subsidiary of Tokyo-based Sony Corporation. SPE’s global operations encompass motion picture production, acquisition, and distribution; television production, acquisition, and distribution; television networks; digital content creation and distribution; operation of studio facilities; and development of new entertainment products, services and technologies. SPE’s Motion Picture Group includes film labels Columbia Pictures, Screen Gems, TriStar Pictures, Sony Pictures Animation, and Sony Pictures Classics. For additional information, visit http://www.sonypictures.com/corp/divisions.html. Directed by Jon Watts. Screenplay by Chris McKenna & Erik Sommers. Based on the MARVEL Comic Book by Stan Lee and Steve Ditko. Produced by Kevin Feige and Amy Pascal. Louis D’Esposito, Victoria Alonso, Thomas M. Hammel, Eric Hauserman Carroll, Rachel O’Connor, Stan Lee, Avi Arad and Matt Tolmach serve as executive producers. The film stars Tom Holland, Samuel L. Jackson, Zendaya, Cobie Smulders, Jon Favreau, JB Smoove, Jacob Batalon, Martin Starr, with Marisa Tomei and Jake Gyllenhaal.